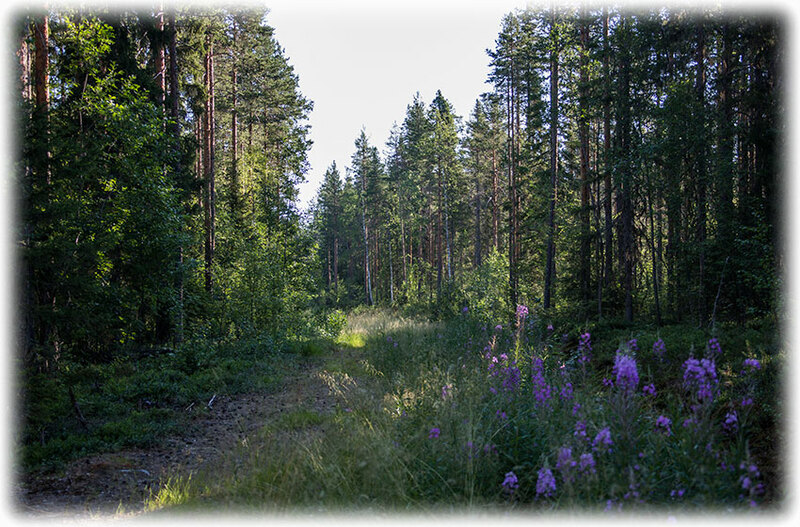 Friday 20th of July 2018 and I left my room to go have a look in the forest. I followed a walk path up the forest. 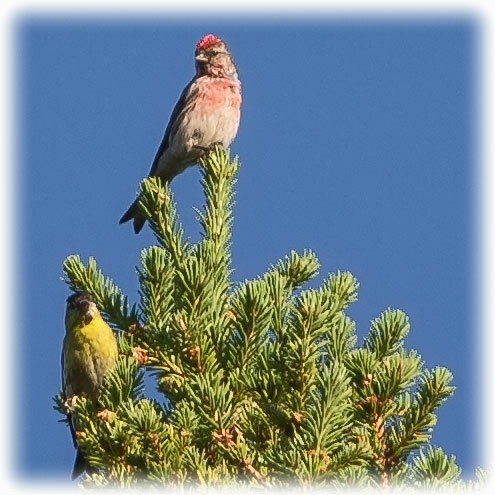 And I came out on a little wider path and I spotted two birds, one yellow and one grey bird with a pink/ red cap. I walk backwards trying to get in a good position. I walk backwards while looking at the birds and suddenly I have a snake on the right side in front of me. 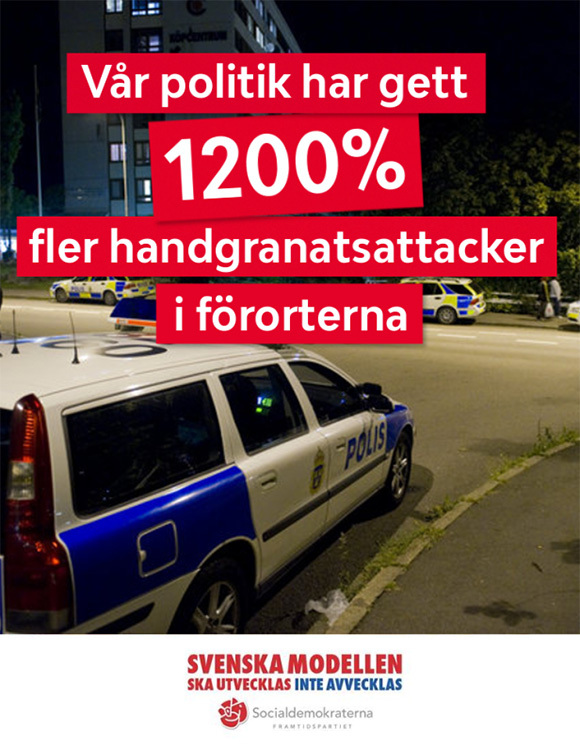 We have two kinds of vipers in Sweden (That I know of and have seen). This was a black viper and as it disappeared out to the grass on the right hand side I must have stepped over it while walking backwards looking at the birds. So I was lucky not to have stepped on the snake. I just looked at the snake and I didn't think about taking any pictures until the snake had disappeared. DARN! I would really have loved to have a picture. Vipera berus, the common European adder or common European viper, is a venomous snake that is extremely widespread and can be found throughout most of Western Europe and as far as East Asia. Known by a host of common names including common adder and common viper, adders have been the subject of much folklore in Britain and other European countries. 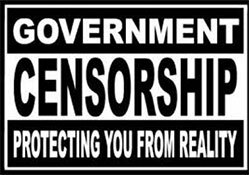 They are not regarded as especially dangerous; the snake is not aggressive and usually bites only when alarmed or disturbed. Bites can be very painful, but are seldom fatal. The specific name, berus, is New Latin and was at one time used to refer to a snake, possibly the grass snake, Natrix natrix. The common adder is found in different terrains, habitat complexity being essential for different aspects of its behaviour. It feeds on small mammals, birds, lizards, and amphibians, and in some cases on spiders, worms, and insects. The common adder, like most other vipers, is ovoviviparous. 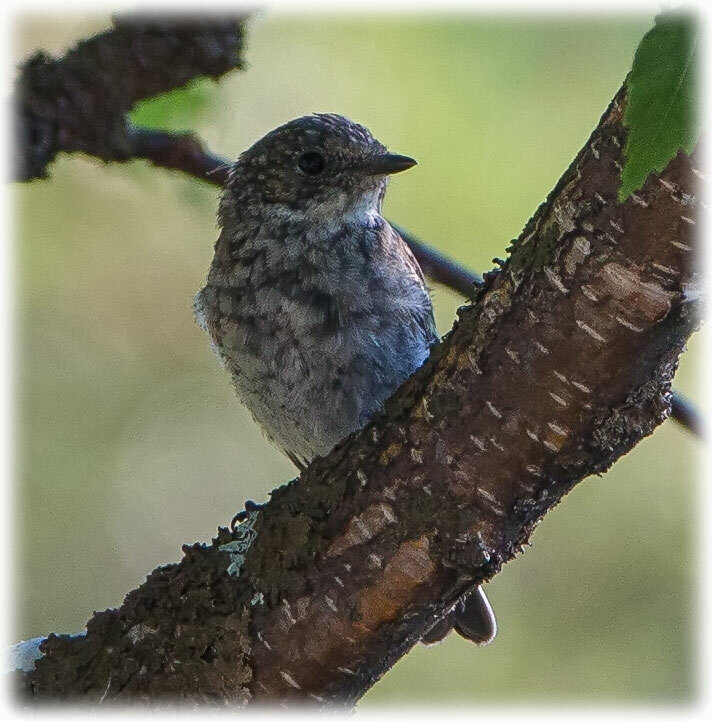 Females breed once every two or three years, with litters usually being born in late summer to early autumn in the Northern Hemisphere. Litters range in size from three to 20 with young staying with their mothers for a few days. Adults grow to a total length (including tail) of 60 to 90 cm and a mass of 50 to 180 g.
Three subspecies are recognized, including the nominate subspecies, Vipera berus berus described here. The snake is not considered to be threatened, though it is protected in some countries. I walk through the forest and suddenly I see something moving in the forest. 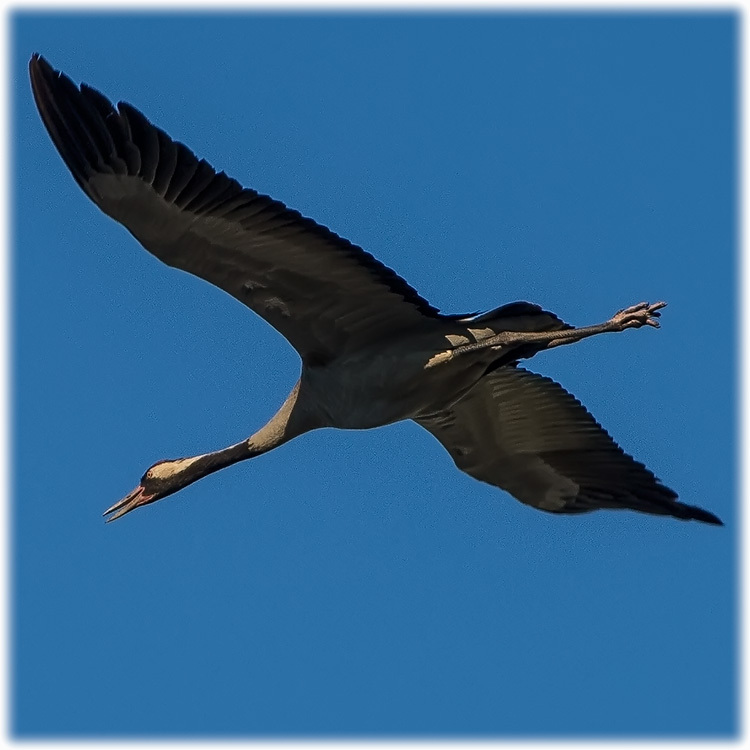 It was a huge bird and I realized that it was a Crane and I went to investigate. The bird took off and I followed the bird but I lost it. I spotted the bird again flying over me and I tried to follow the bird. 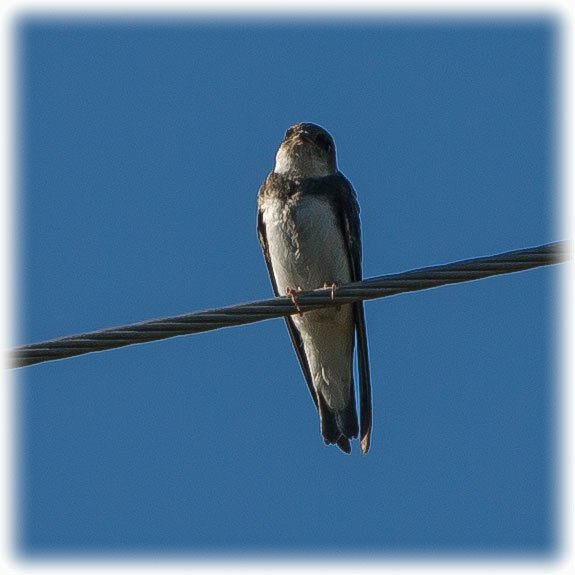 I saw the bird a third time flying away out over the pastures. 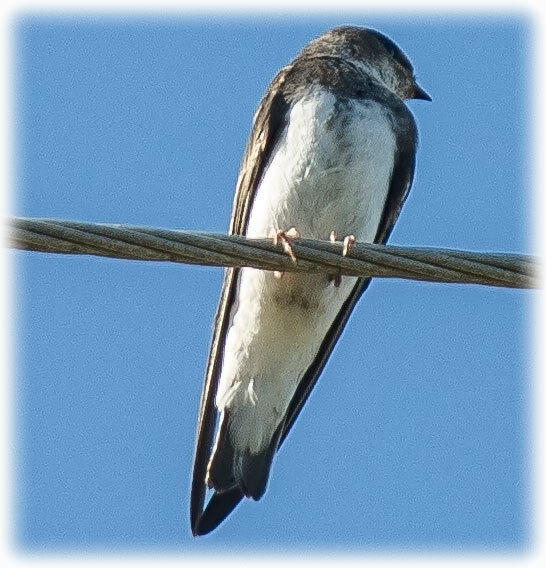 Thanks to CARERY at Birdforum I could identify this bird. I drive down the gravel road, slowly slowly, leaving the farm behind. I see a car approaching in the rear-view mirror and I drive out in the ditch to let the car pass. But now I see that the car is stopping and I see the lady from the farm in the rear-view mirror. She is running down the gravel road and I open my window. - You have not paid your room!!! - I'm on holiday looking for birds and you come charging after me!!! I have my luggage remaining in the room with camera equipment worth 10 000 UD$. You should make ducking sure there is soap in the bathroom. Put up a ducking sign at the reception. DUCK OFF! I continued down the gravel road looking for the Cranes but I never saw the Cranes again. I drove back towards the farm keeping my eyes out. 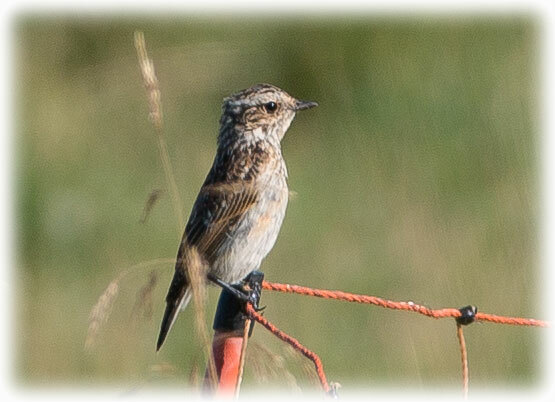 I pass a Whinchat but to bird is too far away to get a good picture. 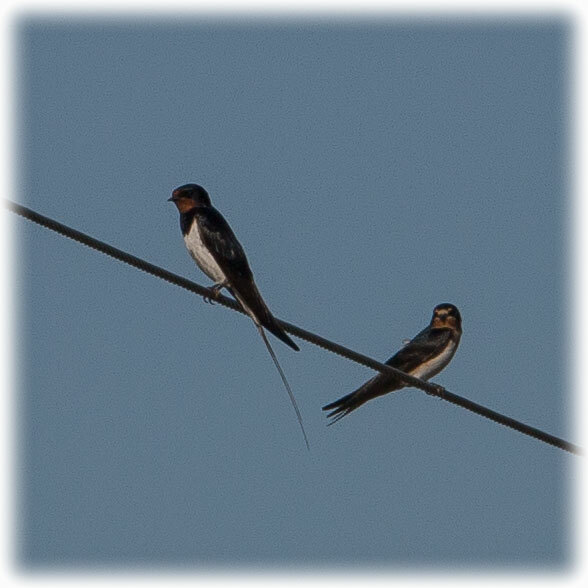 Back at the farm and I stop to have a look at all the swallows starting to sit together on the wire. Preparing to fly back to Africa where they will spend the winter. I go back to get my luggage and they are making Raggmunk for me while I pack my stuff in to the car. 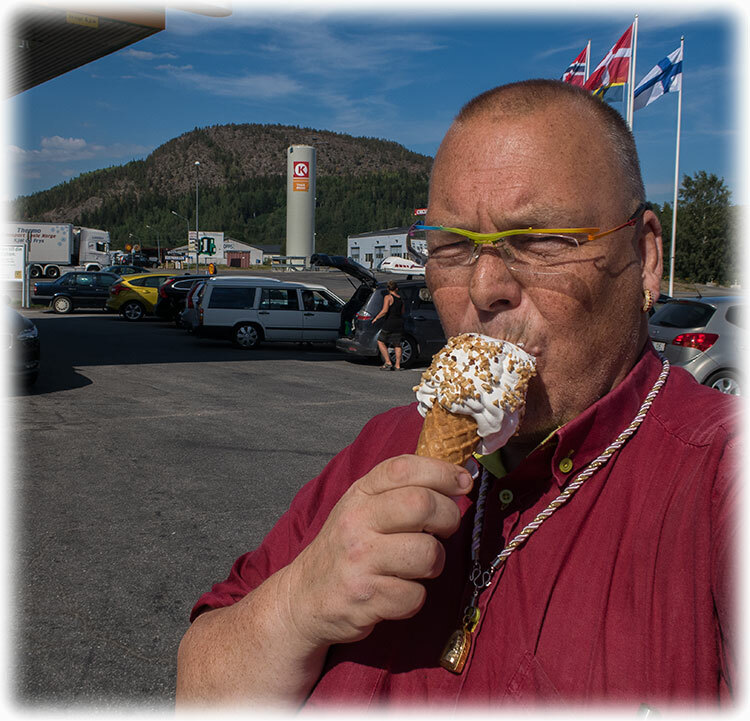 I finish my breakfast and I forget my ice cream when I'm leaving Stormyrbergets Lantgård. Well, that is at least good for my diet. 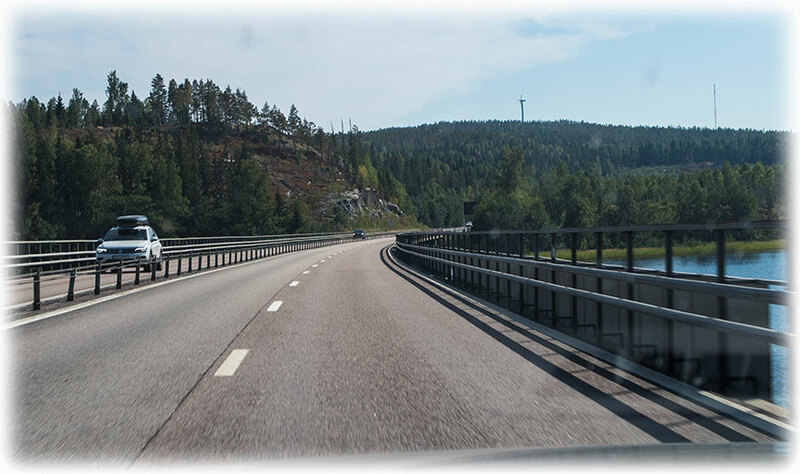 I was soon back on road #E4 and I drove towards Sundsvall and Tynderö Gård in Söråker in the south. It was kind of heavy traffic on the highway but I managed to keep a good average speed. 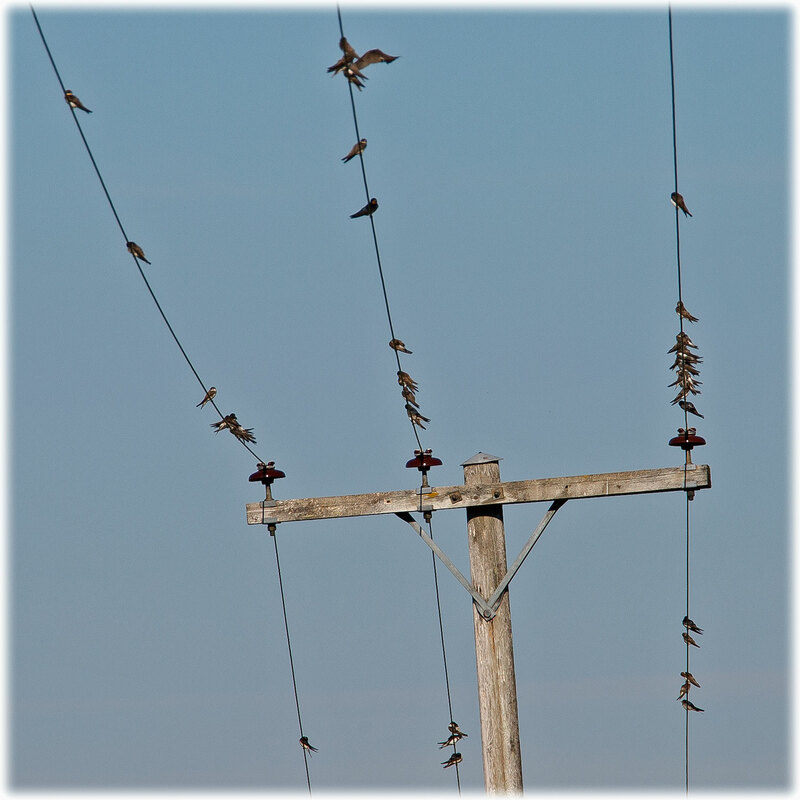 I leave the road every now and then to have a look for birds, of course, I came up with nothing. A very bad bird watching trip this have been. 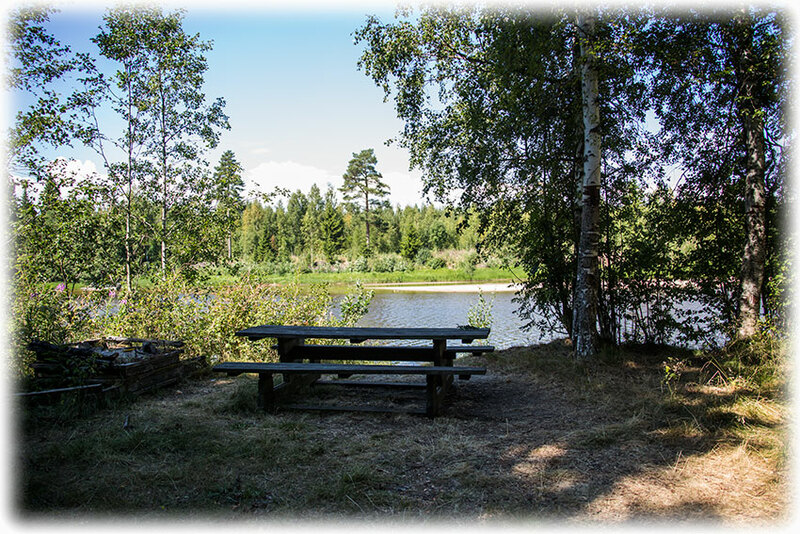 I end up at a beautiful rest place along the Lögdeälvens (Lögde River). I beautiful area but no birds to be seen at Lögdeälvens rastplats. 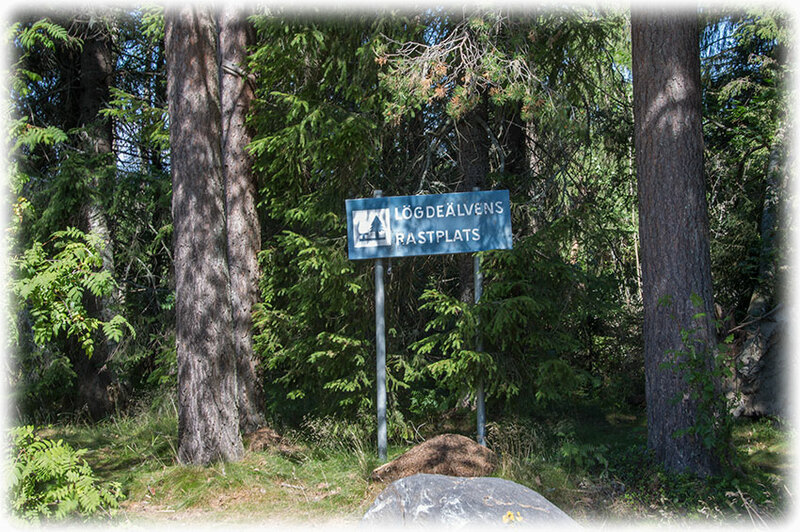 I was a wee bit disappointed when I left the Lögdeälvens rastplats, no bird pictures, yet again. 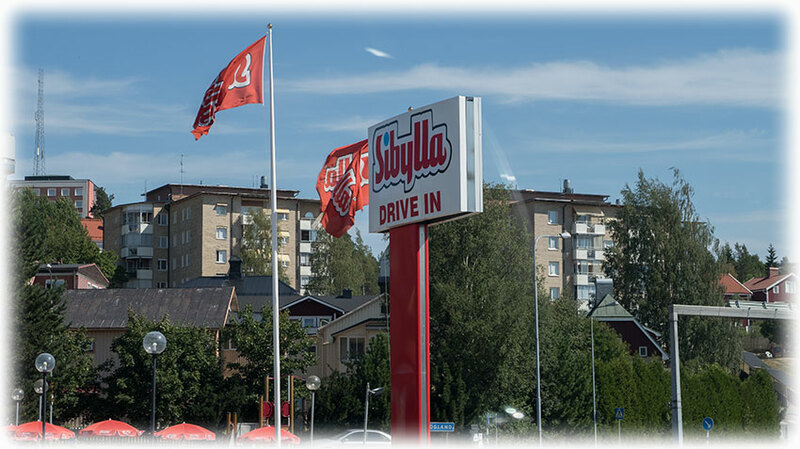 I continue south on the highway and I am soon passing a Sibylla Drive In and I was so close to stop for a “snack” but I manage to continue without the stop. A 700 gr Sibylla (Called a “Dassa lock” in Skåne. And a soft ice cream would have been good, but no, I'm on a serious diet now. 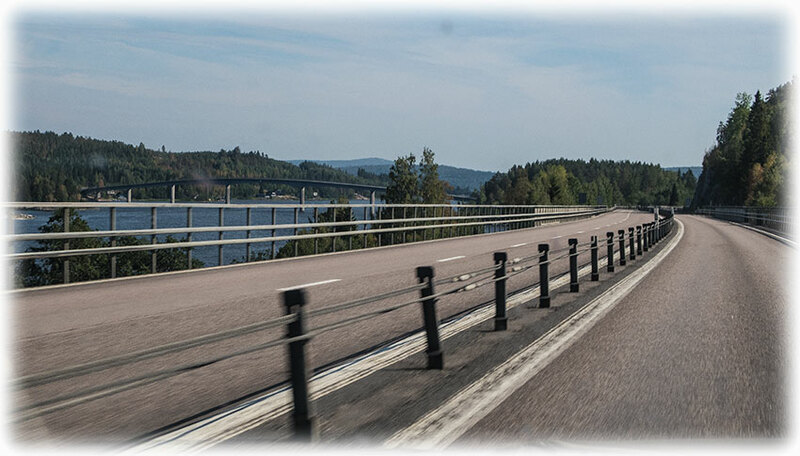 I'm reaching Höga Kusten, a beautiful stretch of road along the coast of Gulf of Bothnia. 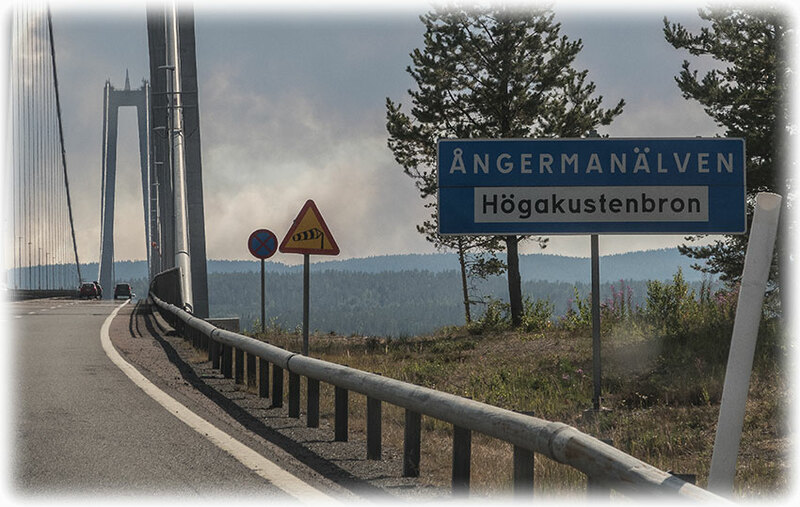 I see a traffic sign saying Skuleberget and Info about Höga Kusten. 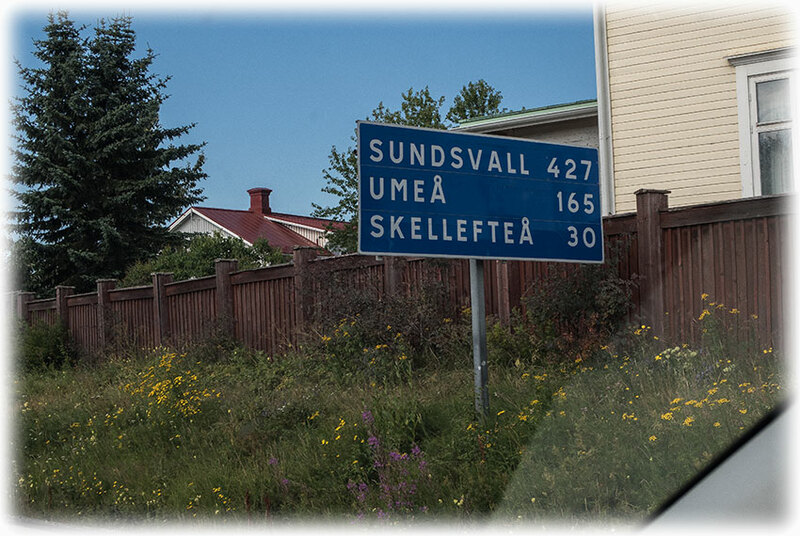 So I make a quick decision to leave the highway to check out if there was any birds at Skuleberget. 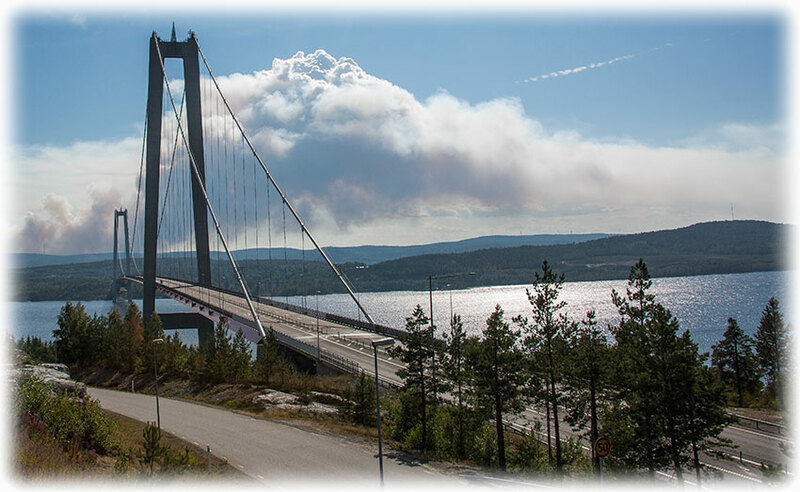 The top of Skuleberget is 294 metres above sea level, and the highest coastline is 286 metres above the current sea level, making it the highest in the world – and it’s easy to see from the top of Skuleberget. 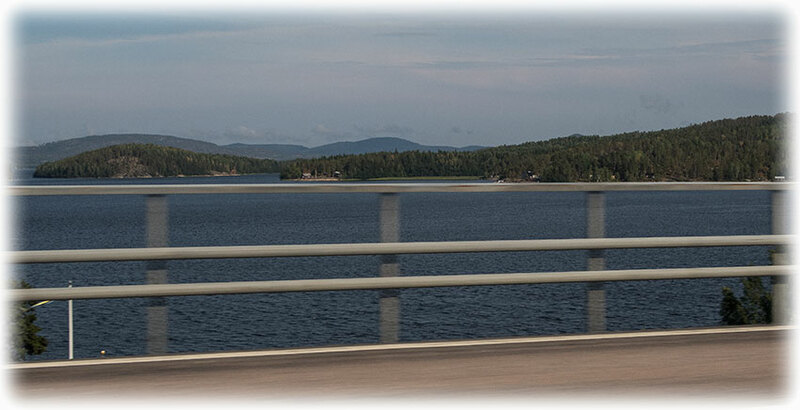 The High Coast (Swedish: Höga kusten) is a part of the coast of Sweden on the Gulf of Bothnia, in the municipalities of Kramfors, Härnösand and Örnsköldsvik, notable as an area for research on post-glacial rebound and eustacy, in which the land rises as the covering glaciers melt, a phenomenon first recognised and studied there. Since the last ice age, the land has risen 300 m, which accounts for the region's unusually tall cliffs. The High Coast is part of the Swedish/Finnish High Coast/Kvarken Archipelago World Heritage Site (the High Coast was joined with the Finnish Kvarken areas in 2006). 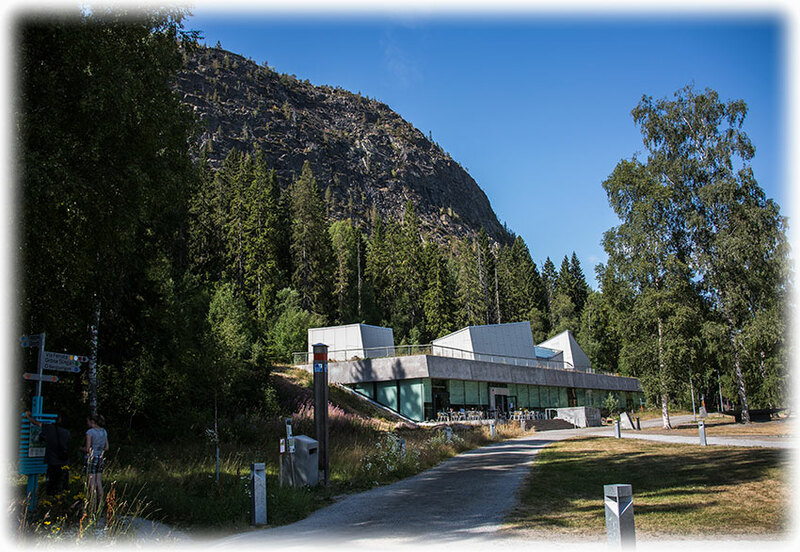 UNESCO, when putting the area on the World Heritage List in 2000, remarked that "the High Coast site affords outstanding opportunities for the understanding of the important processes that formed the glaciated and land uplift areas of the Earth's surface". 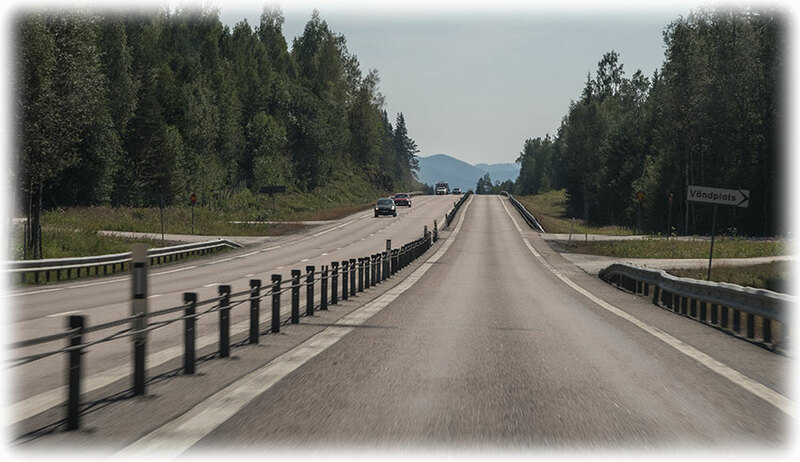 The most popular places to visit in the High Coast of Sweden are Skule Mountain, Skuleskogen National Park and the islands Ulvön and Trysunda. The relief of the High Coast is that of a large scale joint valley terrain that dissects uplifted remnants of the Sub-Cambrian peneplain. The High Coast of Sweden is excellent for hiking and is seen as one of the best hiking regions in Sweden. 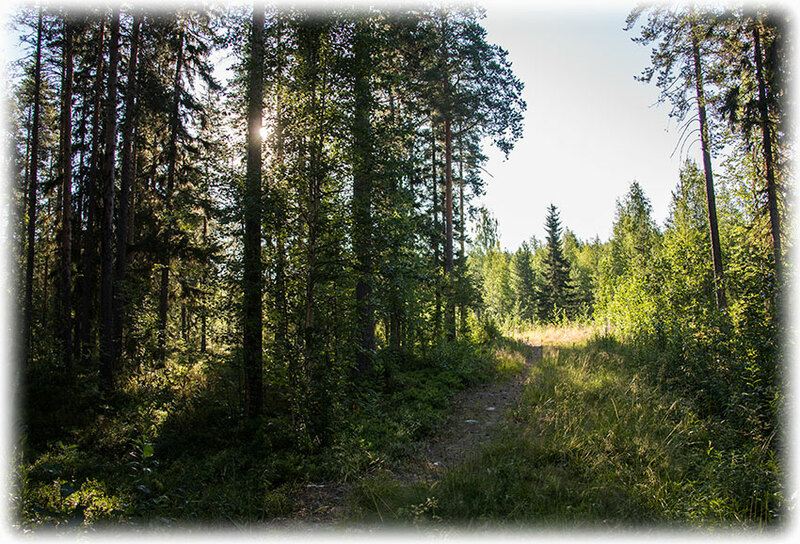 Both outdoor magazines (such as Utemagasinet and Outside) and daily newspapers (such as Svenska Dagbladet) rank the High Coast Trail as the top of Sweden's hiking trails. 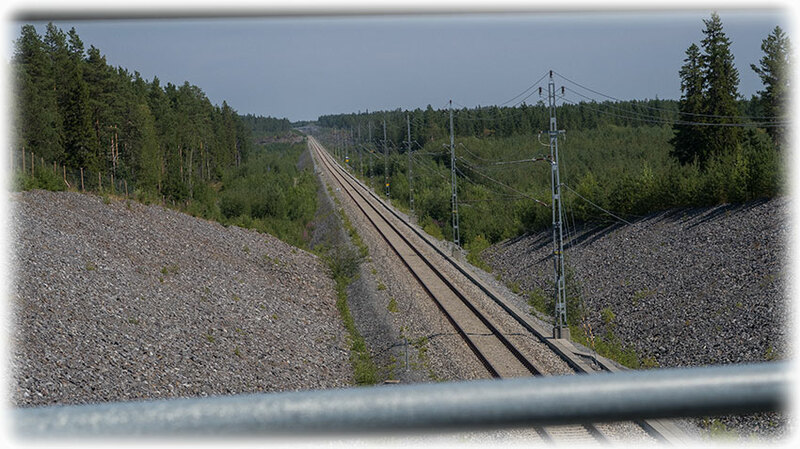 The Höga Kustenleden is a 128 kilometer long trail along the High Coast. For day hikes Skule Mountain and Skule National park are perfect. 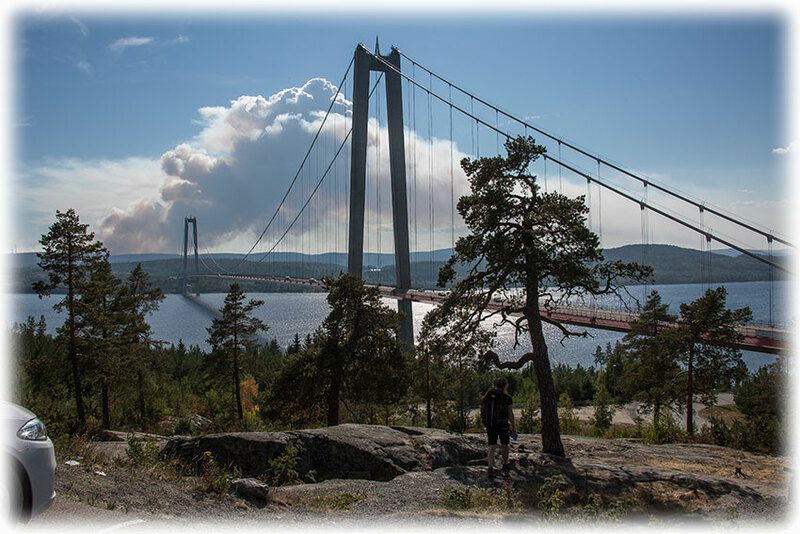 If you are looking to hike with likeminded people the High Coast Hike (Höga Kusten Hike) is an annual event suitable for both experienced and new hikers. 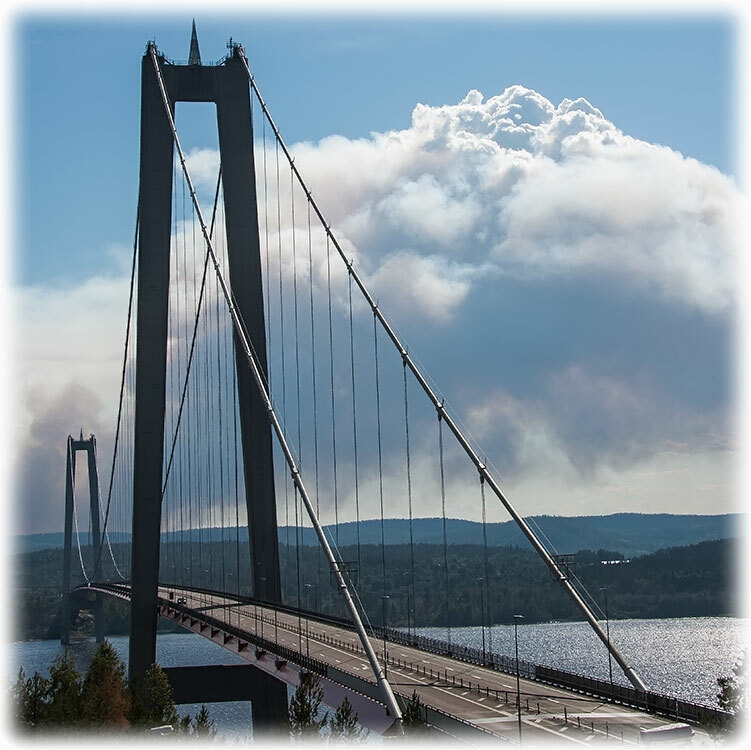 The term High Coast was coined in connection with a report on the area in 1974 Before then the area was termed The Ångermanland Coast. 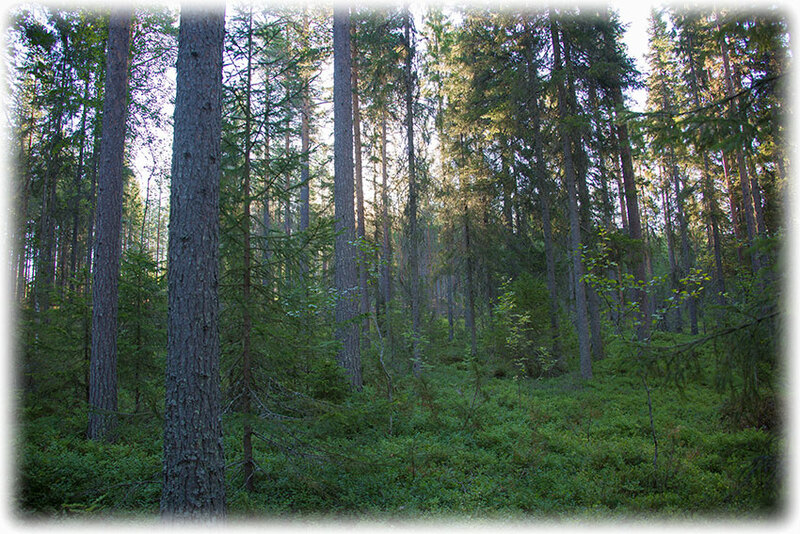 I walk around in the forest on Skuleberget and I hear a lot of birds, but I don't see any of the birds. There was a restaurant and some natura centre. 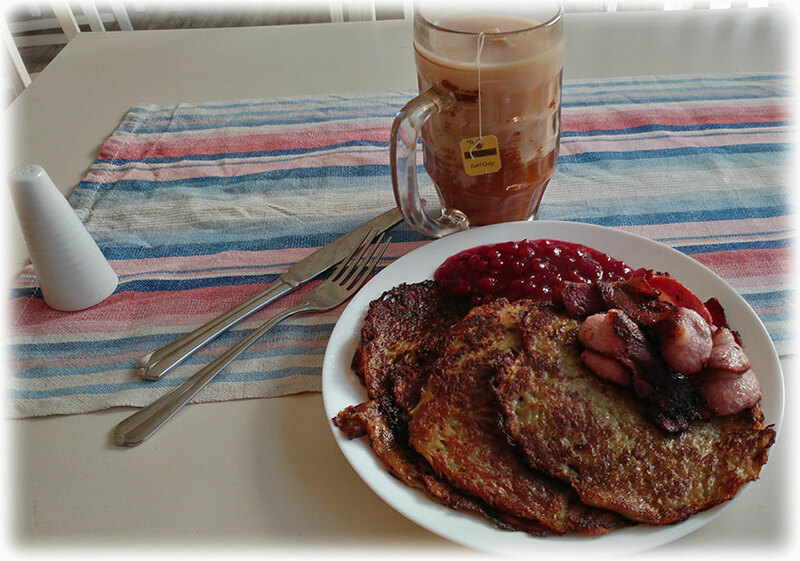 I still have some of the black bread that I bought in Finland and I will eat this in the car while driving to Tynderö Gård in Söråker. 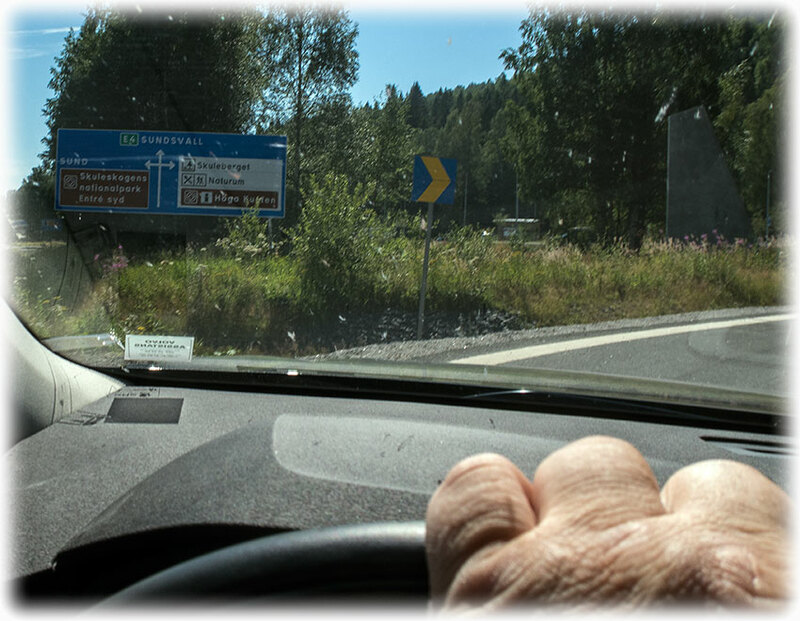 There should be a cable car to the top of the mountain so I went out on the highway again and I left the highway south of Skuleberget and I drove to the cable car station. Jeez!!! Millions of cars and I turned around and I drove back to the highway. There was a service station at the entrance to the highway. 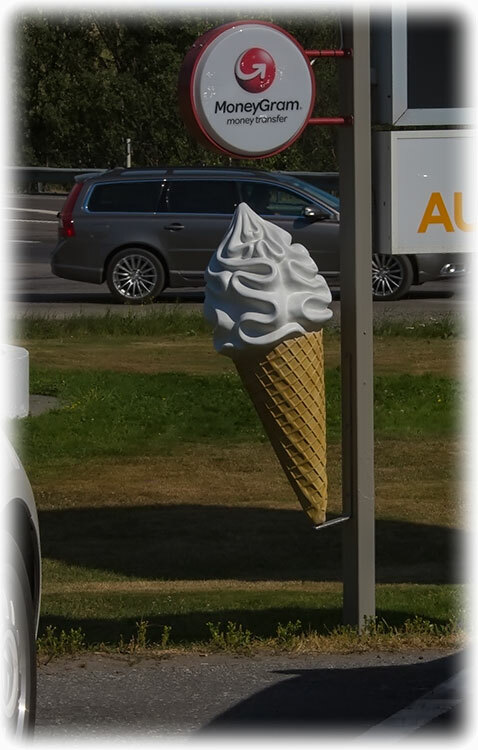 I could see a giant cone with soft ice cream and I went to buy a soft ice cream. Not good for the diet, but I'm on holiday so never mind. 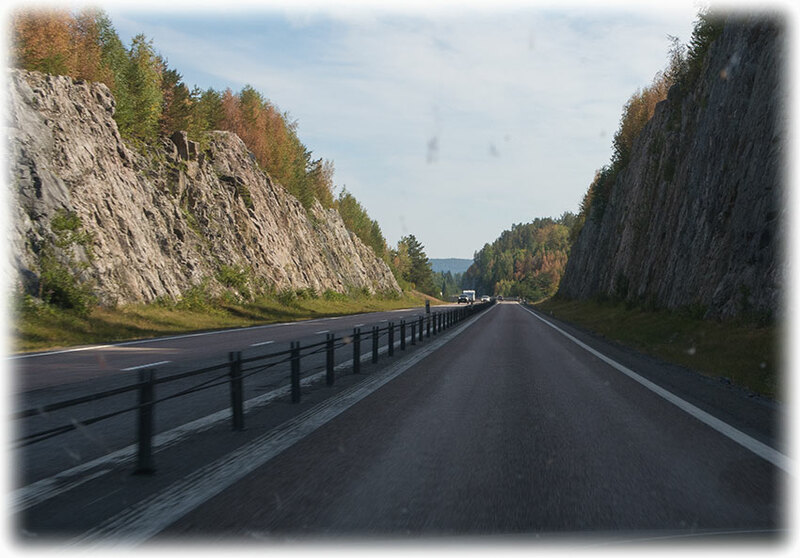 Driving south following Höga Kusten and I enjoy the views. It is really a beautiful stretch and I had planned to go here, never been here before and I really wated to see it. 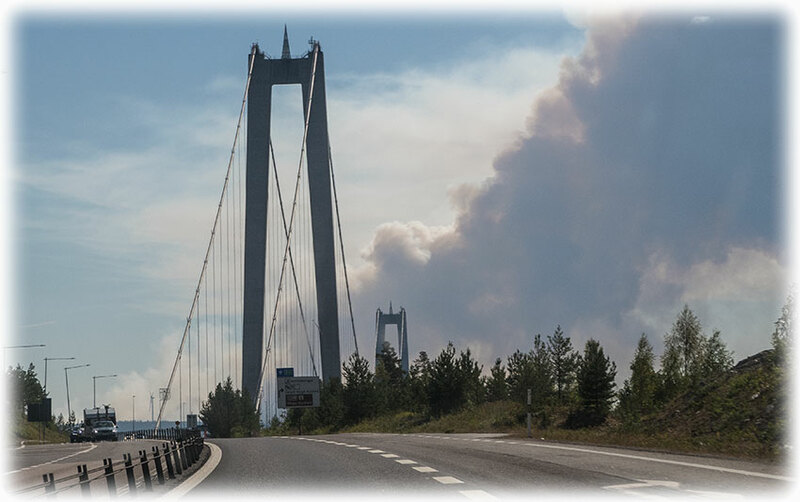 The High Coast Bridge (in Swedish Högakustenbron, or Vedabron by an alternative name) is a suspension bridge crossing the mouth of the river Ångermanälven near Veda, on the border between the Härnösand and Kramfors municipalities in the province of Ångermanland in northern Sweden. 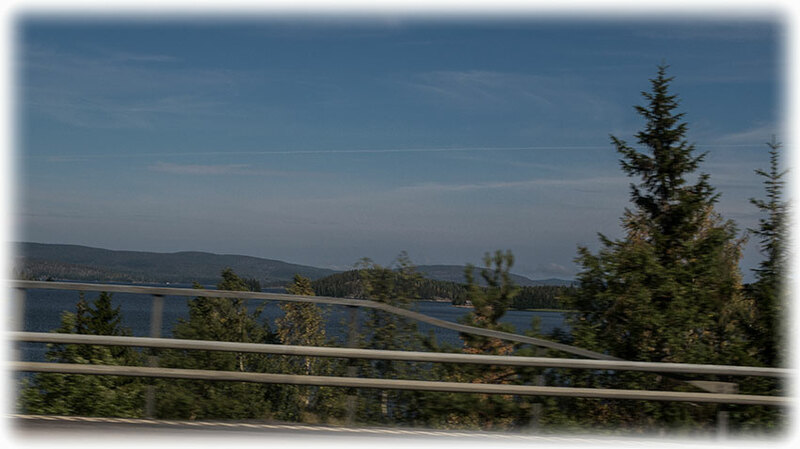 The area is often referred to as The High Coast, hence its name. 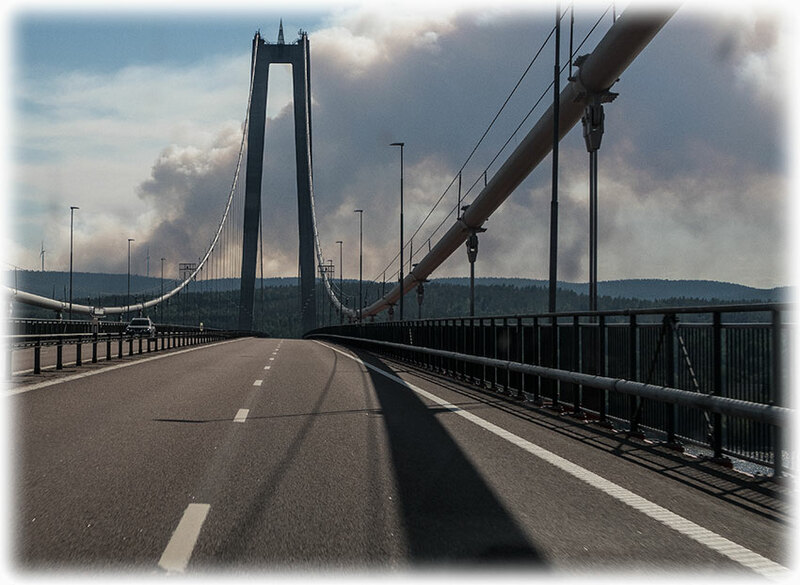 The bridge replaces Sandöbron, the old bridge across the river, in a new extension of the European route E4. 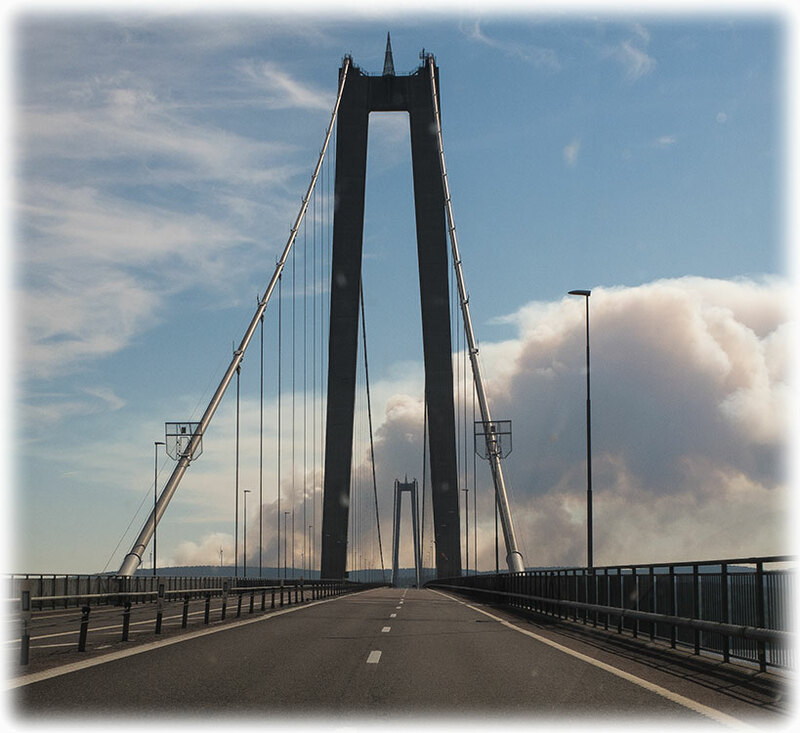 It is (as of 2016) the third longest suspension bridge in Scandinavia (after the Great Belt Fixed Link in Denmark and Hardanger Bridge in Norway), the fourth longest in Europe, and the 16th longest of the world. The total length is 1,867 metres, the span is 1,210 metres, and the column pillars are 180 metres tall. The max height for ships is 40 metres. The bridge was constructed between 1993 and 1997 and was officially opened on 1 December 1997. The shorter name Vedabron refers to the village Veda, which lies 1 km west of the south abutment of the bridge. 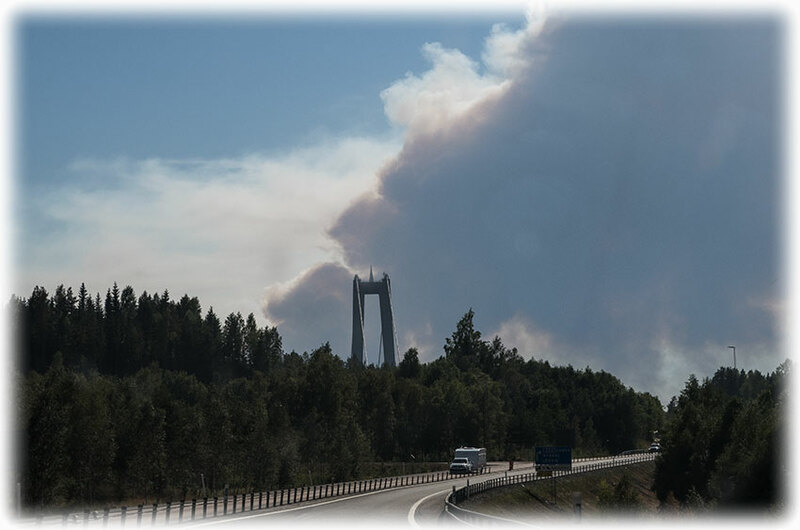 And I was looking forward to cross Höga kusten bron (High Coast Bridge) just north of Härnösand. 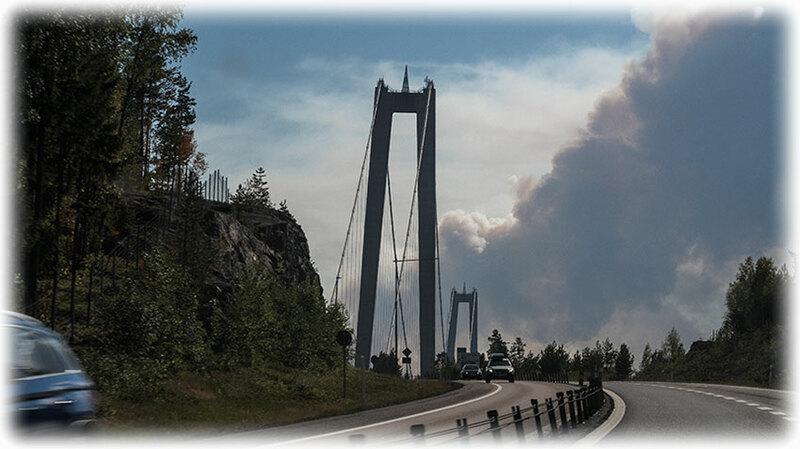 The wild fires had started along Inlandsvägen and it felt like half of Sweden was on fire. 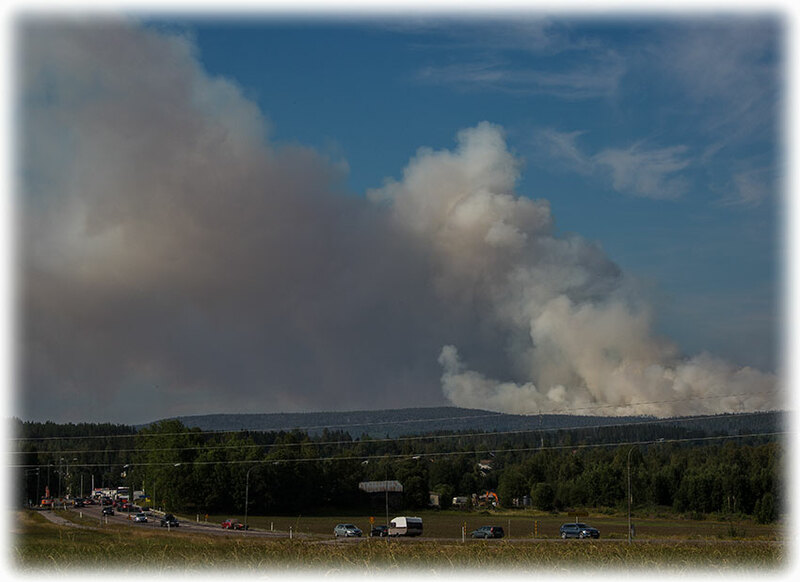 And the wild fires had started just a few days after I had passed the area on my way north. 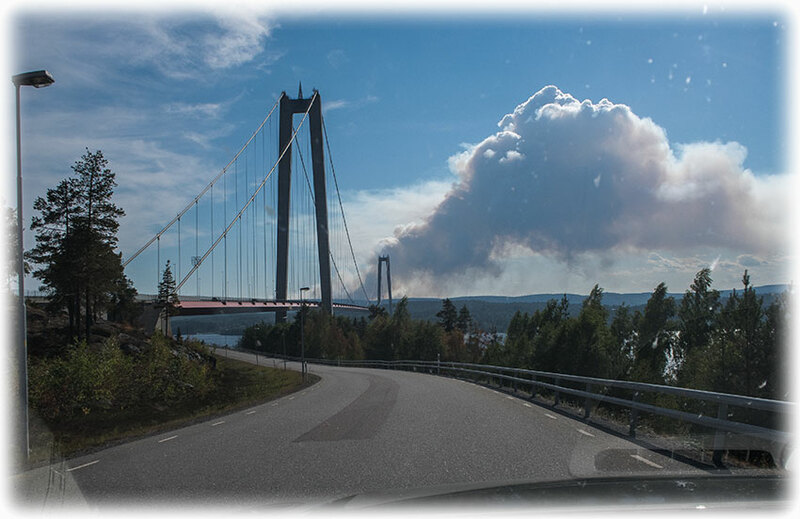 Driving south along Höga Kusten and I could see that the sky was full of smoke, looked like clouds but it was smoke. 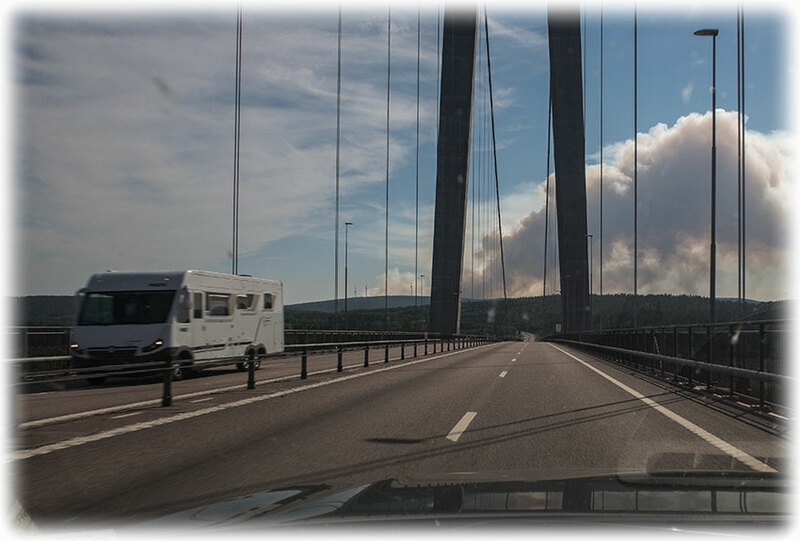 And when I approached the bridge I could see the smoke coming up from behind a mountain just south of the bridge. I parked at the rest place to have a look at the bridge. There is a huge rest place overlooking the bridge and it was full of cars. People stopping to have a picnic lunch, or buying ice cream while looking at the bridge. I spoke with some people at the rest place. 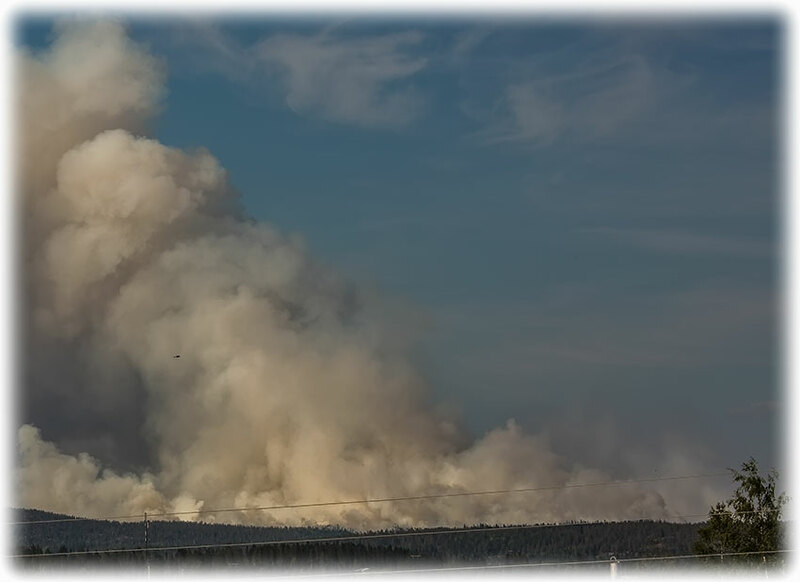 I was told that the smoke started 2 hours ago and in two hours the wild fire had spread and now it was a huge fire. 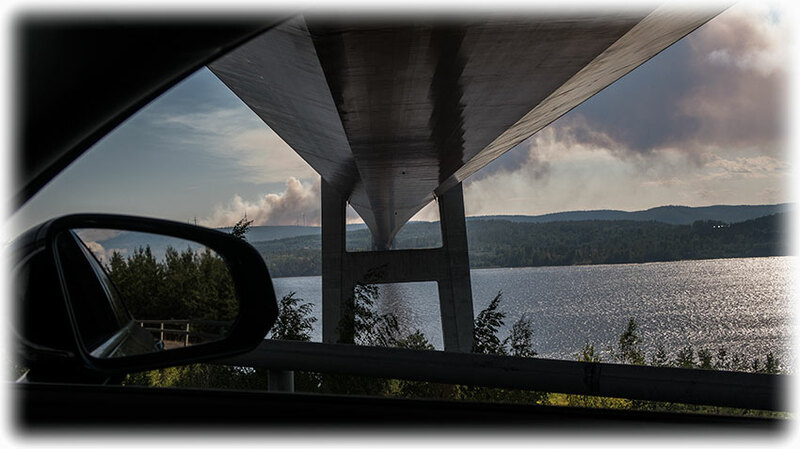 Crossing the bridge and when I'm passing the wild fire I leave the highway to look for birds and to have a look at the wild fire. 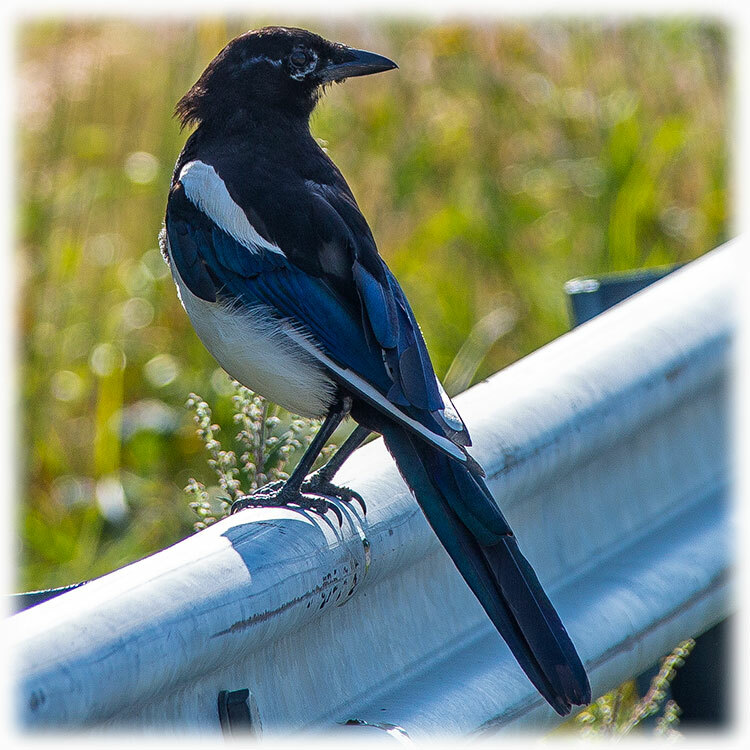 I see a Magpie sitting next to the road and I manage to get a picture before the bird takes off. 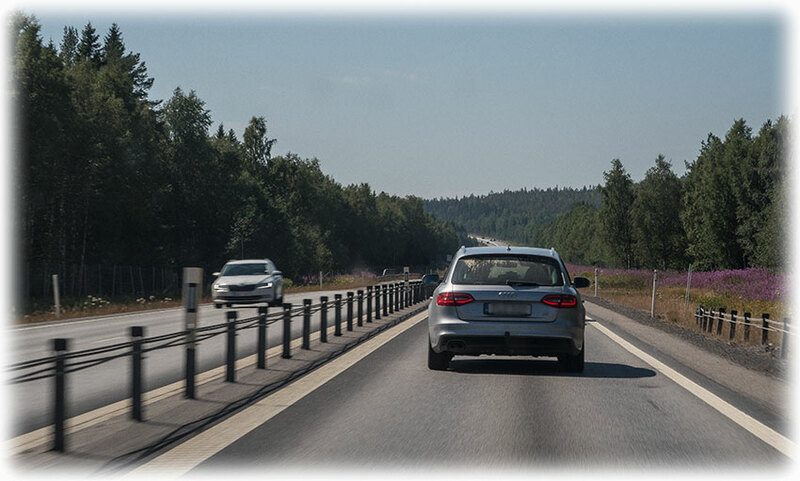 I drive through Härnösand and the lane leading to the north is almost at a full stop, some event is taking place during the weekend. And of course, the wild fire don't help. 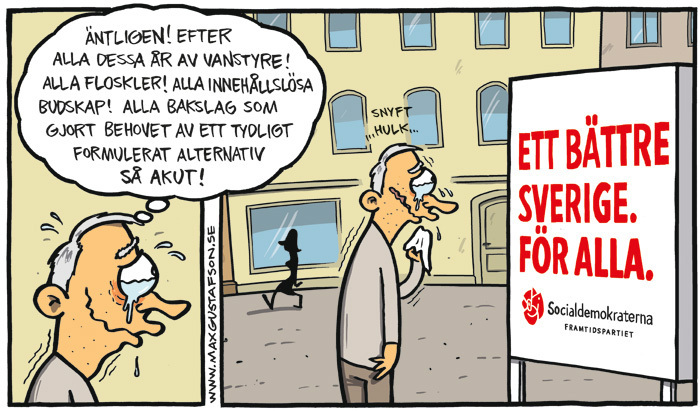 I find my way to Söråker. When I drive along the small road towards Tynderö Gård, the farm where I will stay overnight I see two Cranes coming flying against me. Good, I might have a chance to spot the birds again. But first of all I need to go to the farm and leave my luggage. I interrogate the other guests at the Bed & Breakfast as soon as I enter the place. I ask about the Cranes and an old couple tell me that they had seen them at the bridge to Åstön about one kilometre from the Tynderö Gård Bed & Breakfast. I put my suitcase in my bed, yes, yes no place for the luggage in the room so I only have half the bed to sleep in. 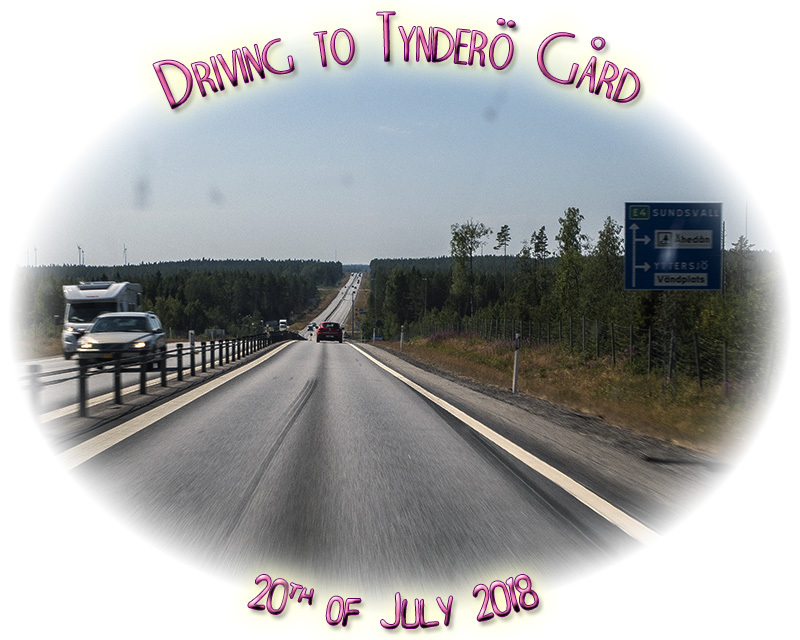 I take the car and I drive towards Åstön but I come up with nothing, no cranes or any other birds around so I drive back to Tynderö Gård Bed & Breakfast. 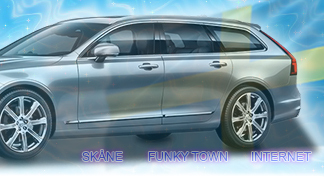 I will go look again tomorrow morning before driving to Skultuna. 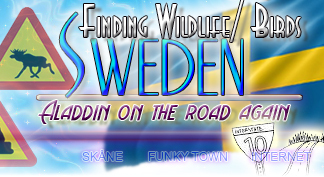 Click HERE to find out if I find any Cranes.